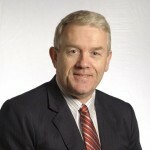 “Hi, my name is Rob O’Byrne and I’m the Group Managing Director of Logistics Bureau. We’re a management consulting company established in 1997 that specializes in the area of supply chain and logistics. We have three companies in the group: Logistics Bureau, based in Australia with offices in Sydney, Melbourne and Perth; Logistics Bureau Asia, based in Southeast Asia with offices in Bangkok, Singapore and Ho Chi Minh City; and Benchmarking Success that operates from all of these locations and is focused on supply chain, benchmarking and business improvement. We hope to open more offices around our region soon and we have alliance partners in Europe and in the US that support our work in those areas. Our business focus is quite simple, we identify and solve supply chain and logistics problems for our customers. Our core skills areas cover the brick and depths of the supply chain from sourcing, manufacturing and distribution, right through to the market place and also from top to bottom from developing supply chain strategies through tactical and operational issues to hands on implementation and project management. We also support businesses across most industry sectors. These seven are our core focus, within each industry sector we have a broad and deep understanding of the specific supply chain issues and this is based on our experience with over 11,000 supply chain customer assignments in 18 countries. We are very proud of our customer base and the fact that 65 percent of that business is repeat business with existing customers, and over 20 percent is our customer referrals. And this really demonstrates our customer focus and value adding approach. We help organisations improve their Supply Chain Management (SCM) and Logistics operations and deliver real bottom line benefits. We deliver reduced costs and improved service regardless of whether you have the best or worst Supply Chain in the sector! We also have an education division that provides pragmatic and valuable training based on our many years helping businesses across a broad range of industries and countries.